iKey’s new FZ-G1 Jumpseat™ keyboard is the first product on the market designed to snap onto the Panasonic FZ-G1 tablet, providing screen protection and a fully rugged on-the-go keyboard. The iKey FZ-G1 Jumpseat™ keyboard is a full QWERTY keyboard with USB capability through the G1 docking connector, and integrated backlit keys. The FZ-G1 Jumpseat™ keyboard is sealed and is resistant to the dirt, dust, and spills that can ruin most keyboards. 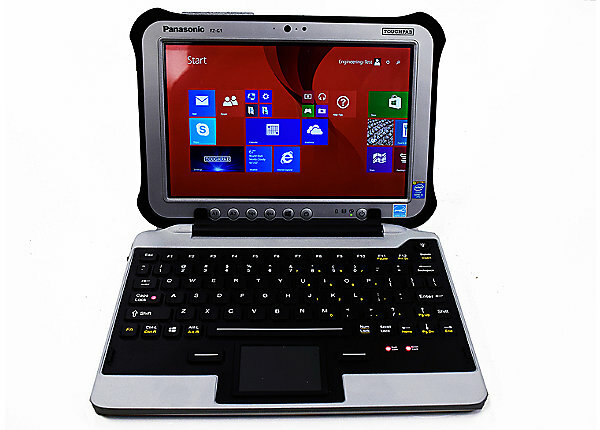 • Powered by FZ-G1 Toughpad. Updated Latching - iKey aluminum detachable folding keyboard with USB port, touchpad and integrated backlighting, custom snap connector for integration with FZ-G1 Toughpad.